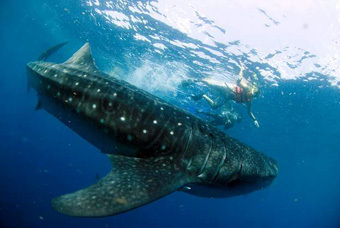 Swim with whale sharks, an experience you will treasure forever! 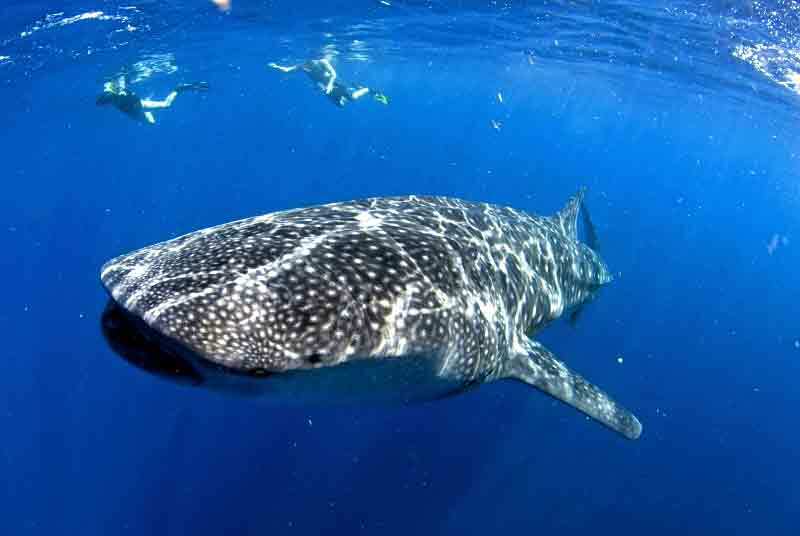 Swim and snorkel with whale sharks or just stay in the boat and enjoy the sight of these gentle giants swimming in the ocean near Isla Contoy. For this trip no minimum number of passengers is required, maximum is 10 persons per boat. This means you are always with a small group. Daily departures at 7.30am from marina Hacienda del Mar in Cancun. There will be no tour on June 30th, July 30th, August 30th. Very light continental breakfast. (If you can have breakfast where you are staying, do have breakfast before you go). 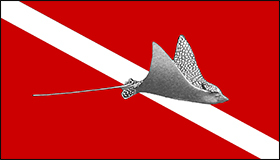 Snorkel equipment & fins, NEW snorkel for you to keep! Multilingual guide, on request, when you book this trip. Bottled water, soft drinks on the boat. Beer only after return in the marina. Fresh fish ceviche. Let us know if you do not eat fish or if you are a vegetarian. Bring swim suit, towel and a change of clothes. Biodegradable sun protection. 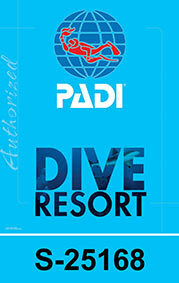 (Like Maya Solar, available at our diveshop). Sunglasses, cap or hat, sun protection. If you do not like to wear a life vest, it is possible to rent a wetsuit (shorty) USD 15. It is possible to buy a dvd of the tour when you return USD 50. Important, this is not included: Due to government regulations a preservation fee for the park and dock fee will be collected before boarding. This is USD 10.00. Not sure yet, want to have a look at tour 2 and tour 3 again pricelist.